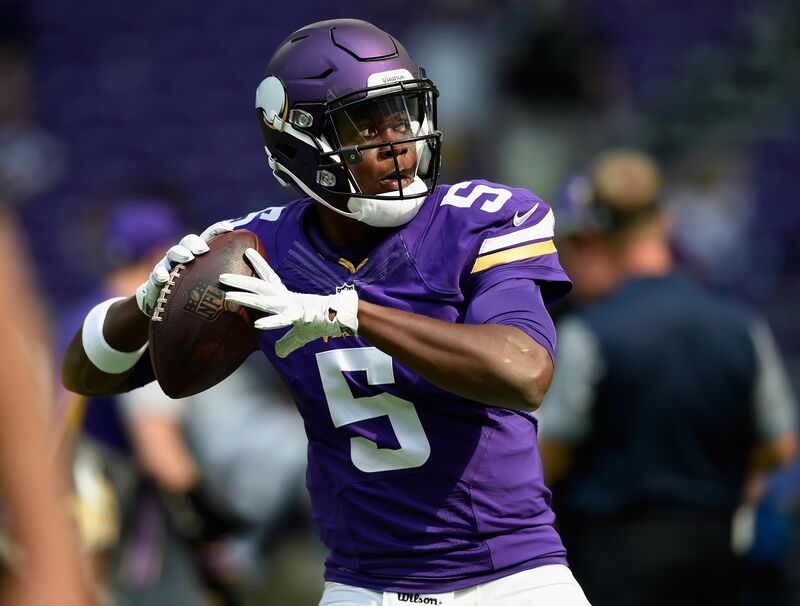 With one health situation involving a Vikings’ quarterback becoming cloudy, Teddy Bridgewater’s status may be getting clearer. Faced with a desperate situation after Teddy Bridgewater suffered a substantial left knee injury late last preseason, the Minnesota Vikings surrendered a first-round pick in a trade for Sam Bradford. Bradford played solidly last season and had a great showing in Week 1, but he popped up on the Week 2 injury report and he will not play on Sunday against the Pittsburgh Steelers. Bradford has torn the ACL in his left knee twice in his career, so his current issue is notable and could easily be ongoing throughout the season. Case Keenum is line to start any games Bradford misses in the short-term, including Sunday obviously, with Bridgewater on the PUP list for a least the first six weeks of the season. But Bridgewater has been making some perceived progress in his recovery, just over a year removed from his career-altering injury. Ian Rapoport of NFL Network reported Bridgewater is expected to be ready by midseason. That would be Week 8 or Week 9, most specifically or technically, which is just beyond the time he can be put on the active roster and the Vikings have to make a decision on his status for the rest of the season. If Bradford continues to be questionable on a weekly basis, or keeps missing games, Bridgewater’s progress and prognosis will have a greater spotlight on it. Being healthy and playing well for any real length of time has been an elusive concept for Bradford, so it’s fitting that coming off the best game of his career he is now banged up. A short week after a Monday night game should be noted though, and Bradford could easily miss just one game as a measure of caution by the team. If Bradford is out injured or playing especially poorly in around six weeks, and Bridgewater is cleared to play, the Vikings will have a full-blown quarterback controversy on their hands.